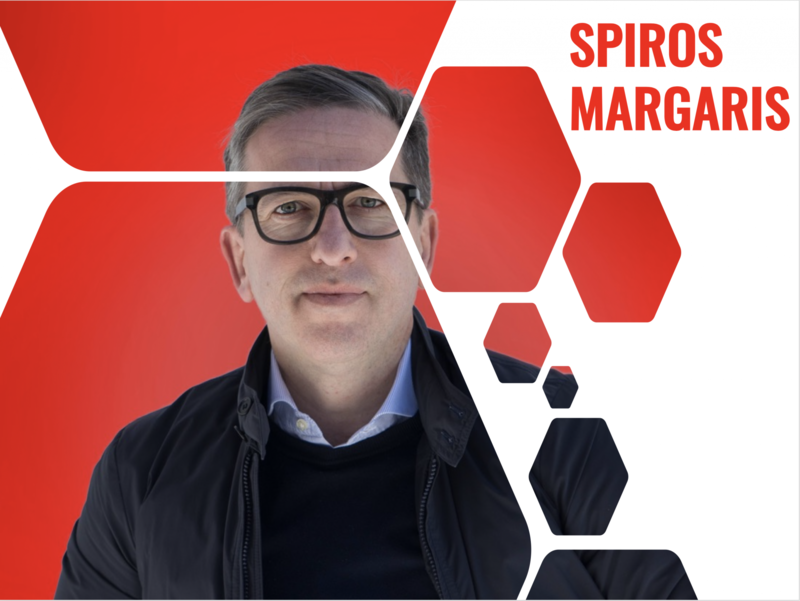 Spiros Margaris is a leading AI & Fintech influencer in the world. He is a speaker at international FinTech and InsurTech conferences and publishes articles on his innovation proposals and thought leadership. He published an AI white paper, “Machine learning in financial services: Changing the rules of the game,” for the enterprise software vendor SAP. Spiros has more than 25 years of national and international experience in investment management/research and innovation and technology management. So, we decided to peek into his mind on thoughts around AI in fintech, AI innovations and AI in general. Here’s the complete interview. AIMAnalytics India Magazine: Why is AI so important for Fintech? SMSpiros Margaris: Artificial intelligence (AI) and machine learning increasingly play a very important role in all industries that want to compete and survive successfully in a digital world. For the Fintech industry in particular, they allow the industry to provide customers with more personalized and better services, such as, among many other things, fraud detection or KYC (know your customer). In a world where we all want increasingly more personalized services and solutions, AI and machine learning is the only game in town. AIM: Do you think investment in AI is still low? Are we getting there? SM: I think as we see more success stories in the AI space, we’ll see more investments flow into the sector. We’ve seen huge investment and valuation numbers already in 2018, and I foresee that trend to stay on for the foreseeable future. I don’t say that there isn’t a possible hype around AI but that doesn’t mean we’ll see an end to it any time soon. The advantages and promises that AI, machine learning and deep learning bring to industries and countries are still so attractive in the early stage that no one wants to miss out or be left behind. To be cautious and selective when it comes to AI investment might be prudent advice, but then again, as they say, “No risk, no glory.” It’s a decision every investor has to make for themselves. All I can say, we’re still in the early stages of AI advancements and competition will drive the technology to the next level quicker than most of us can imagine in technology advancements or time frame. AIM: How do small & mid-sized companies compete in an AI-driven world, where tech giants are taking most of the AI pie? SM: To be fair, it’s hard for small and mid-sized companies to compete head-to-head with tech giants. The reasons are obviously due to the pure talent manpower and money that tech giants have to deploy into AI research, development and deployment. That’s the bad part why the smaller companies can’t compete directly with the Amazons, Googles and Apples of this world. However, that doesn’t mean they can’t compete against the tech giants. I advise smaller companies and startups not to play the giant game but to play their own strengths and USPs (unique selling propositions) and partner with AI companies or license AI solutions. In the end, it’s about providing customers with value, and AI plays an increasingly important role but definitely is not the only success factor for any business. So, to sum up, it’s not only about algorithms that will decide the winners but also great applications and solutions that people want to use. Consumers don’t really care how much (AI or any) tech is used behind the scene as long as it gets the job done that they desired—consciously or subconsciously—in the first place. AIM: In a future world dominated by AI innovations, how do countries keep up with the pace? SM: It sure looks like the US and China are the big elephants in the AI race who commit the most investment and resources to dominate the AI space. Although Europe, India and other countries have woken up to the fact that significant AI investments have to be done to not fall behind and lose their competitive strengths, it’ll be hard to compete against these two elephants in the AI room. As a positive, I believe we’re still in the early AI game, and key innovations can come from anywhere regardless of the money spent, but the likelihood to develop the AI competitive edge of course increases with resources committed to the space. AIM: What can we professionals do to have a greater collaboration in AI between countries? SM: I strongly believe that collaboration between countries and professionals will benefit all of us. Governments should encourage their AI scientists, entrepreneurs and companies to work more closely together with other countries and experts to develop and find new AI applications. Of course, many countries try not to share their AI competitive edge and know-how freely, but, as in the real world, collaboration or teamwork leads to more likelihood of successful solutions. AIM: What do you think about AI in India? In other words, how have your perceptions about AI in India shaped over time? SM: India still has the image of providing back-office services to the world, but I think that’ll change as its government has clearly understood the consequences of AI to the back-office business model, its society and workforce. I strongly believe that India is a country that can adjust to the new AI world and will increasingly prepare its society for the challenges ahead and skill its people and workers accordingly. It would be a mistake to count India out in the AI race; to the contrary, I believe the country is on the right track to play a leading role in how AI is implemented in the future. We’re still early in the AI race, regardless of what is implied in the media. AIM: What can India do more in this field? SM: India, like any country, should put as many resources as possible into creating an AI-friendly environment. That means the government must put a lot of resources into educating its people and that starts from the small children to the universities. Furthermore, regulation has to encourage companies and startups to use technologies such as AI and machine learning to create future companies that could become global leaders. That is easier said than done because we must consider, among other things, privacy and ethical issues when we push AI forward. Not everything that is possible should be done without thinking very carefully about the consequences to society and the world. And finally, the government support has to be maintained regardless of how hot or cold the AI environment is. In other words, a long-term plan needs to be put on the political agenda to avoid falling behind other countries so much that it might feel like the last train has left the station.